Botanica is a food and lifestyle concept created by Heather Sperling and Emily Fiffer. Equal parts restaurant, publication and market, Emily and Heather asked FreelandBuck to design their first brick and mortar location. 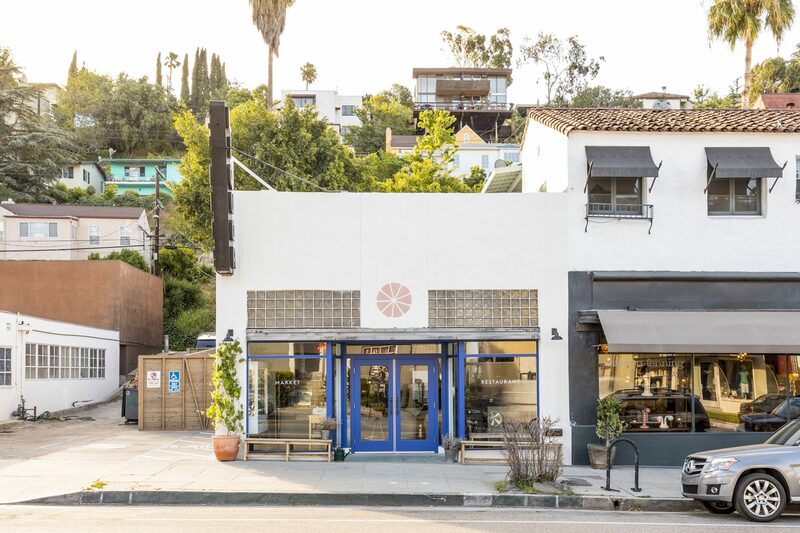 The site, located on Silver Lake Boulevard in Los Angeles, was selected because of its multiple building layout, opportunity for exterior dining, and generous, high ceilings. The two existing buildings on the site, a liquor store and duplex, were gutted to make way for the new restaurant, market, and office spaces. Parsed between the two buildings the program is organized around a shady interior courtyard. 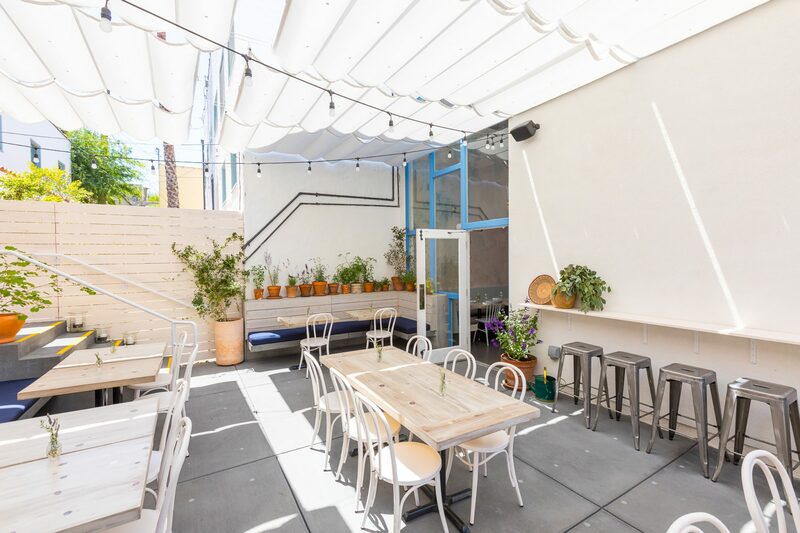 A new wall of windows along the back of the front restaurant building enhances the airy space and visually connects the interior and exterior dining areas, spatially uniting the patio to the restaurant. 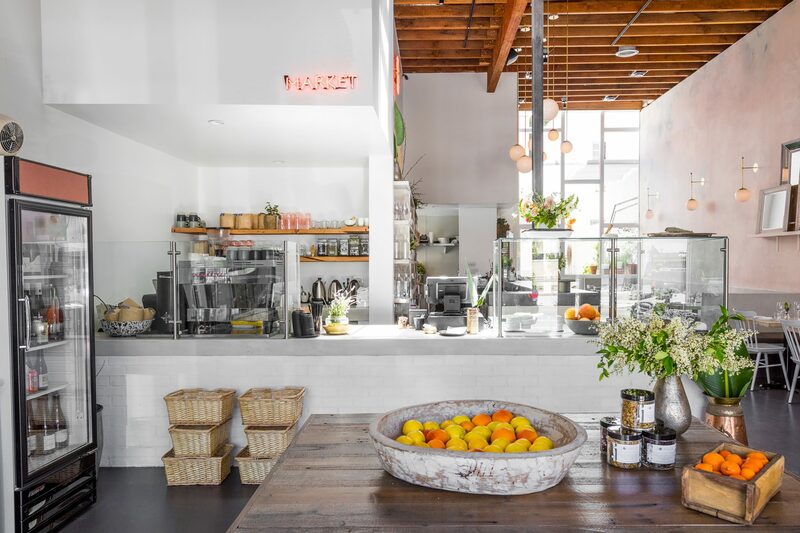 The kitchen, split between the two buildings, is anchored in the corner of the front building with coffee, bar, and service areas nested around it. 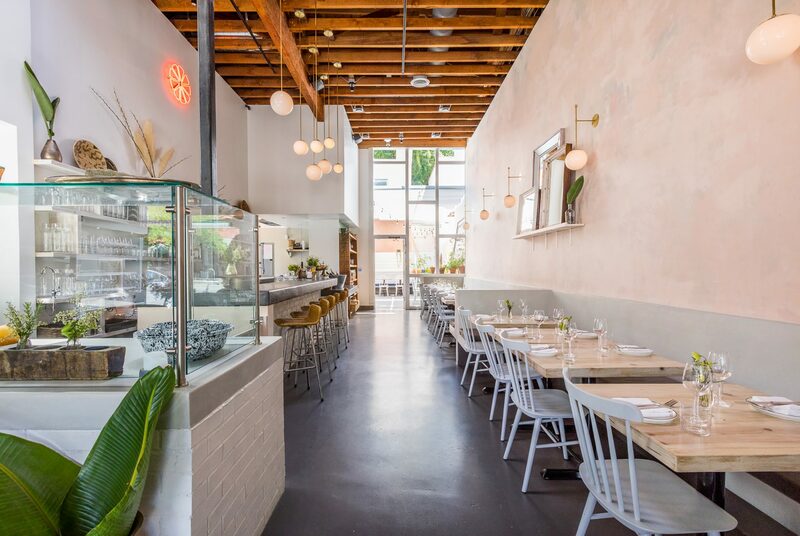 The large, open restaurant space is subtly subdivided to create varied scales of intimacy and domesticity. The market and coffee bar at the entry mixes diners and shoppers producing a comfortable atmosphere that integrates the storage of wine and food items into the dining experience. Following the interior designer’s direction to maintain an informal and open-ended aesthetic, the space is intended to feel flexible and seasonal. Furnishings create discrete memorable moments while architectural details are intended to recede into effortless transitions; between interior and exterior, restaurant and market, domestic and urban.